Anyways, our human seems to think that being a human means being really busy all the time, and for some reason she won’t let us use the computer on our own…so we kind of just have to hang around and wait until she gets the time to type for us. If you want to blame anyone for our tardiness, blame her. She’s never on time ANYWHERE!! But better late than never – we say. We also say that this post isn’t even wordless, because we’re making an introduction, but since we already bent the whole Wednesday rule…what’s one more? 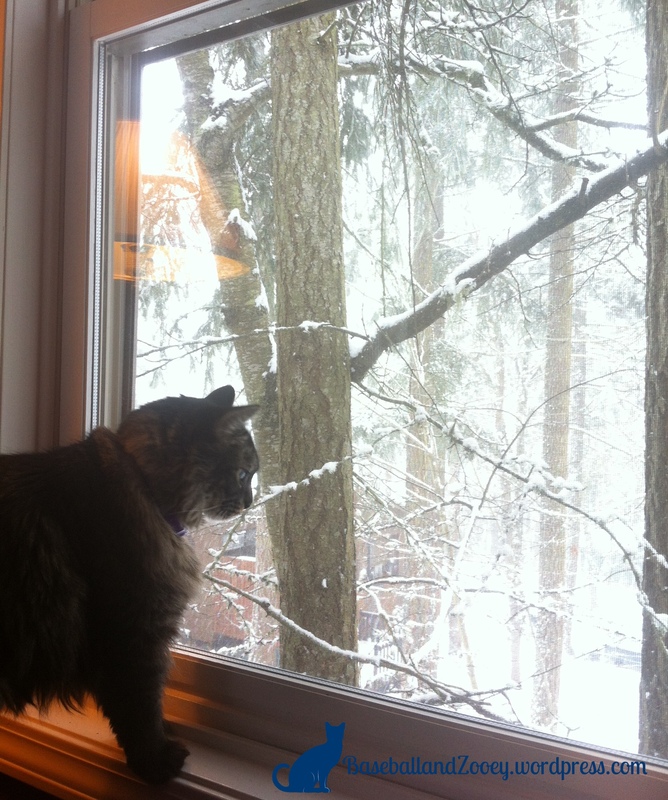 But us cats weren’t exactly jealous – it’s much warmer inside! 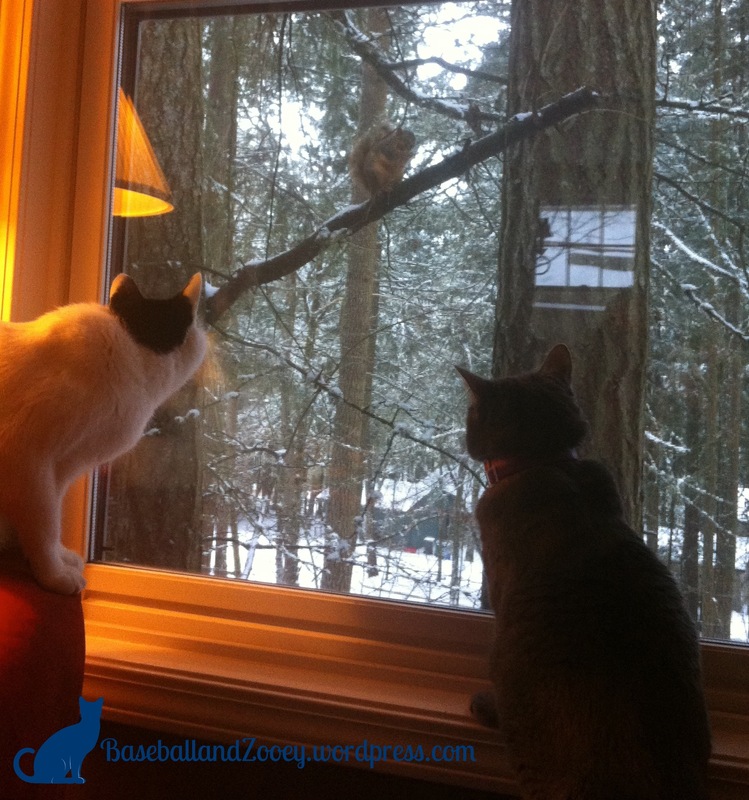 Plus…there are SQUIRRELS to watch from the window! 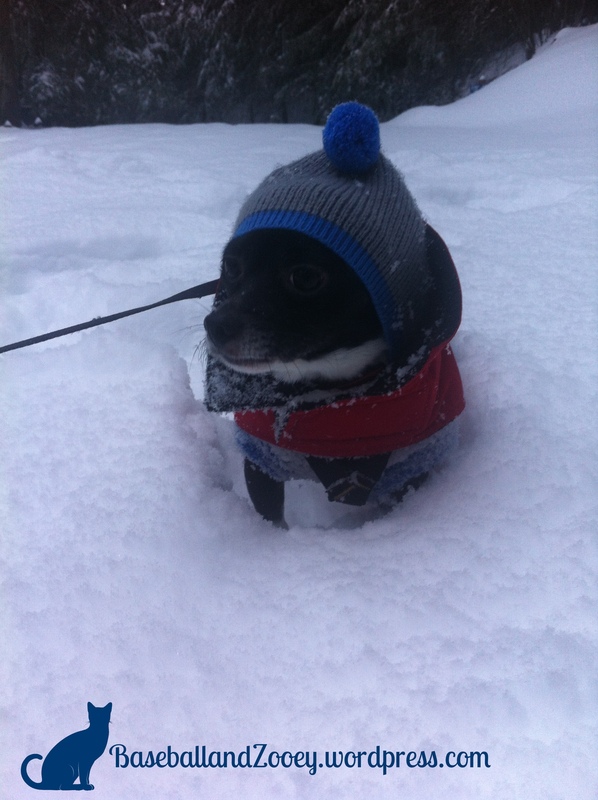 How do you like to spend a good snow day? Inside where it’s warm, or outdoors playing in all of the powder? What about your fur-kids? What do they think of snow days? Cute pics! 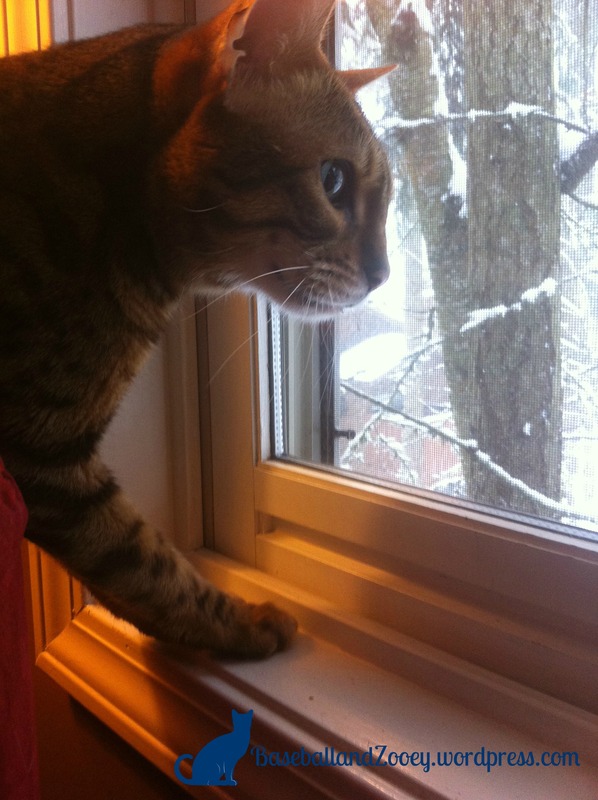 My dogs love the snow and my cats love to watch.